EURUSD is under the influence of Germany PPI and the US Markit Manuf PMI for today. 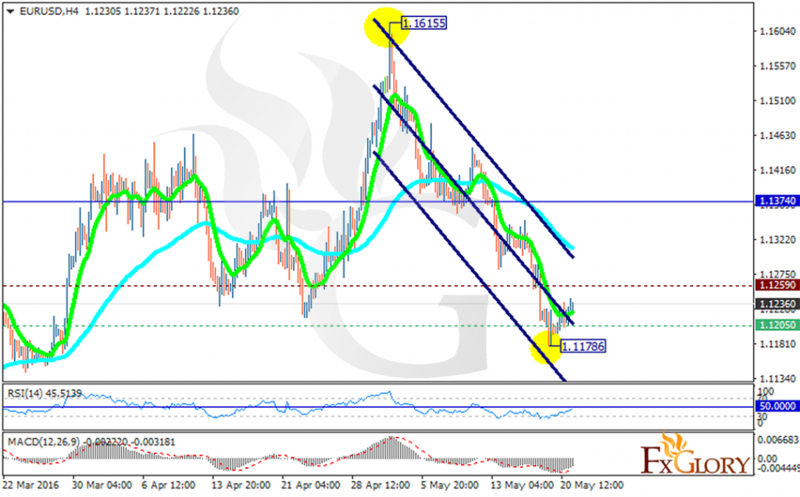 This pair has been moving with bearish bias since the previous high at 1.16155 and now is finding support at 1.12050 with resistance at 1.12590 which both lines are below the monthly pivot point at 1.13740. The EMA of 10 is located below the EMA of 75 showing the price bearish tendency in the last recent days. The pair is falling down the descendant channel and both indicators are confirming the bearish scenario. The MACD indicator is in negative territory and the RSI is below the neutral zone. The support level breakthrough will smooth the way for further decline to 1.1070.